The rib cage has three important functions: protection, support and respiration. It encloses and protects the heart and lungs. It provides a strong framework onto which the muscles of the shoulder girdle, chest, upper abdomen and back can attach. It is flexible and can expand and contract by the action of the muscles of respiration. The diaphragm is attached to it’s lower border. 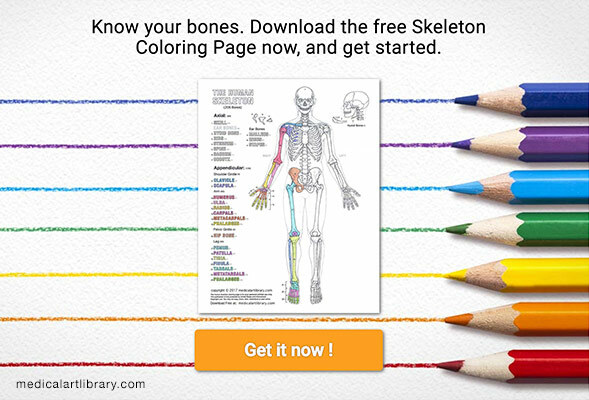 The bones of the rib cage are the sternum, the 12 thoracic vertebrae and the 12 pairs of ribs. The sternum is a flat bone that is made up of three parts, the (1) manubrium, (2) body, and the (3) xiphoid process. The top edge of the manubrium has a depression called the suprasternal or jugular notch. All ribs are attached in back to the thoracic vertebrae T1-T12. 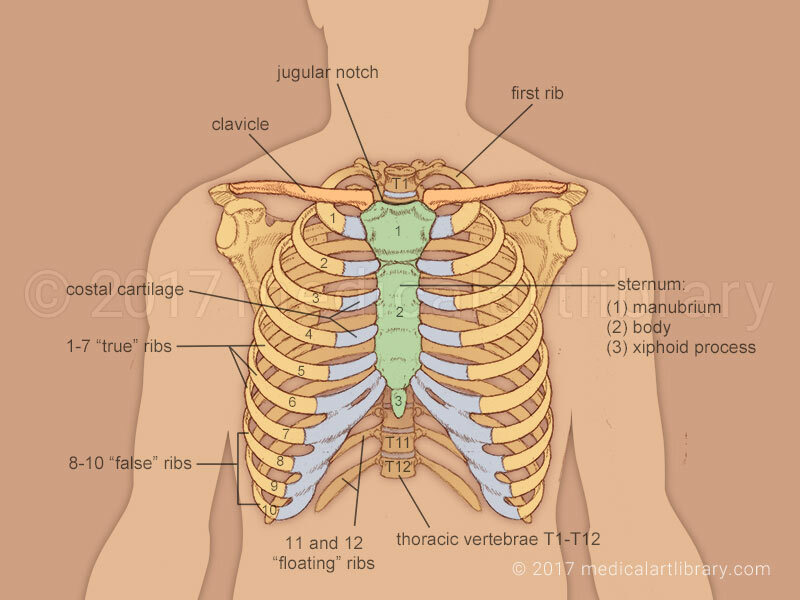 In addition, ribs 1 through 7 are each attached in front to the sternum by a costal cartilage, and therefore called “true” ribs. Ribs 8 through 10, the “false” ribs are not attached to the sternum but to the costal cartilage of the 7th rib above. Ribs 11 and 12 are called “floating” ribs, they are only attached to the vertebrae.